How new blood vessels form in mammals, for example, during development or after injury, is imperfectly understood. Scientists at Goethe University have now shed light on this process, showing that single cells in the innermost layer of blood vessels proliferate after injury, and in so doing, make a significant contribution to the formation of new vessels. 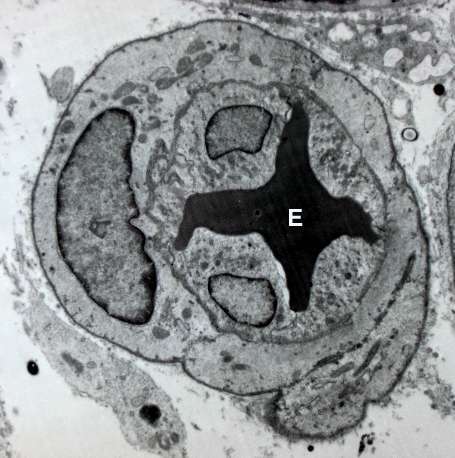 Observation of how new blood vessels form in the heart is not possible in mammals. That is why only endpoints can ever be studied, for instance, observing that new veins and arteries have formed, and the types of cells that developed. However, little is known to date about the actual process of new vessel formation, although this knowledge could contribute to resolving tissue damage, such as that occurring in diabetes or following an ischemia-induced heart attack. Professor Stefanie Dimmeler and her fellow researchers at the Institute of Cardiovascular Regeneration of Goethe University Frankfurt have studied the fate of single cells in the innermost vascular layer, i.e. the endothelial cells, during development and after tissue damage in what are known as Confetti mice. In these models, the researchers can mark specific cell types and distinguish between them with the help of fluorescent proteins. In the models used, endothelial cells fluoresced in three different colors. Since the cells continue to fluoresce when they divide, single endothelial cells and their "progeny" can be tracked. In so doing, the scientists sought to answer the question of whether cell division in the formation of new blood vessels, as known from zebrafish, takes place more or less randomly or whether specific cells divide again and again to produce new vessels. In damaged heart tissue following a heart attack, the researchers were able to observe that certain cells had divided repeatedly. They also detected this cell division, which is referred to as clonal expansion, in damaged tissue caused by ischemia in skeletal muscles. To do so, they analyzed the fluorescence in endothelial cells in tissue slices taken from the damaged areas. They found the ratio of clonally expanding cells—between 30 and 50 percent—very surprising. "But perhaps we're even underestimating the ratio of clonal expansion," presumes Dimmeler. "Because after all, we haven't conducted a three-dimensional analysis but instead identified the fluorescing cells in two-dimensional tissue slices." In addition, further experiments showed that the vessels formed through clonal expansion are also supplied with blood and thus able to function. In newborn mice, by contrast, Professor Dimmeler and her team did not observe any clonal expansion in the formation of new vessels in the retina. It would therefore seem that the growth of blood vessels during normal development results from the random multiplication and integration of cells. This result coincides with observations in zebrafish, in which what is known as "cell mixing" also plays an important role in the formation of new blood vessels during development. The researchers were keen to characterize the dividing cells more precisely, and to this purpose, they analyzed which genes are transcribed in single examples of the clonally expanding endothelial cells. "Surprisingly, we found a large number of gene products that are typical for the transition from an endothelial to a mesenchymal cell," says Dimmeler. This transition, or EndMT process, is a contributor in many pathogenic processes, such as scarring or arteriosclerosis. In endothelial cells, the gene products typical for EndMT do not, however, mirror a transition but instead presumably just an intermediate stage that enables the cells to detach themselves from the cell assembly in order to multiply. Dimmeler and her team now want to find out what happens with the clonally expanded cells in the long term, since at present, they are only able to track their fate for about two months. "We want to know what has happened to these cells after a year, and whether the new blood vessels are just as good as the old ones in the long term," says Dimmeler. Is clonal expansion different in older patients? This is another question she finds fascinating. "It might be that clonal expansion is no longer that efficient in older people, which is why a lot of damaged tissue dies off after a heart attack and forms scar tissue which cannot be reactivated through the formation of new blood vessels," says Dimmeler. "If we manage to characterize the clonally expanding cells more precisely, we will hopefully find ways to re-stimulate this process."